Born February 10, 1932, Vivienne Malone-Mayes was the fifth African American woman to earn a Ph.D. in mathematics. Malone-Mayes grew up in Waco, Texas, and in 1948, she graduated from A.J. Moore High School when she was only 16 years old. Although her high school in Waco was segregated, she excelled and immediately moved to Nashville, Tennessee to attend Fisk University. At Fisk, she took classes from Dr. Evelyn Boyd Granville who was one of the first two African American women to receive a Ph.D. in mathematics. Dr. Evelyn Boyd Granville inspired Malone-Mayes to pursue advanced degrees in mathematics. 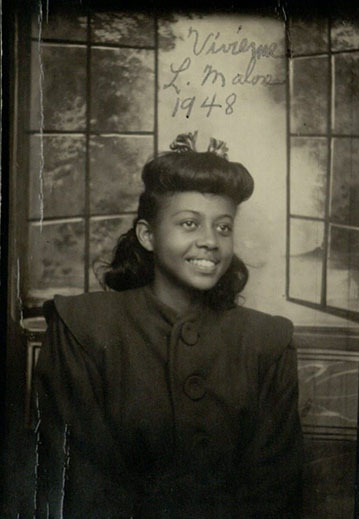 Malone-Mayes earned her bachelor’s degree from Fisk University in 1952 and her master’s degree from Fisk in 1954. Malone-Mayes then returned to Waco and Paul Quinn College to serve as the Chair of the Mathematics Department from 1954 to 1961. She attempted to enroll at Baylor University in Waco, but was denied admission because of her race. Malone-Mayes was admitted instead to the to the University of Texas in Austin which had desegregated its graduate programs in the early 1950s. She earned a Ph.D. in mathematics at the university in 1966. She was the second African American and first African American woman to receive a Ph.D. in any field from the University of Texas. Malone-Mayes returned to Waco in 1966 where ironically, she became the first African American faculty member at Baylor University, the school that rejected her application as a graduate student just five years earlier. Malone-Mayes spent the rest of her career at Baylor University until she became ill and retired in 1994. Throughout her career at Baylor Malone-Mayes continued to have to protect her civil rights as a woman of color. In the 1970s federal officials visited the campus to monitor whether her salary and promotions were equal to those of her other colleagues. Malone-Mayes reported to federal authorities that she was satisfied with her treatment and did not believe she was subjected to discrimination. In the 1980s however, with the introduction of the Reagan-Bush Administration, civil rights agencies and their activities were drastically cut and Malone-Mayes reported that she felt her position as a respected professor was weakened without the monitoring by the federal government. Outside of Baylor University, Malone-Mayes was the first black woman elected to the Executive committee of the Association for Women in Mathematics. She was also on the Board of Directors of the black community oriented National Association of Mathematicians and other mathematical societies. She also worked with Waco area organizations and was on the Board of Directors for Goodwill Industries, for Family Counseling and Children, and Director of the Youth Choir and Organist from 1960 to 1975 at New Hope Baptist Church. Vivienne Malone-Mayes died of a heart attack on June 9, 1995 in Waco, Texas. As the fifth African American woman to receive a Ph.D. in mathematics, she made an enormous impact on numerous organizations dedicated to addressing problems impacting women and people of color. Falconer, Etta, and Lee Lorch. “Vivienne Malone-Mayes.” Biographies of Women Mathematics, Agnes Scott College, 25 Feb. 2016, https://www.agnesscott.edu/lriddle/women/mayes2.htm.